If industry folklore was to be believed, a top female star refused to perform at an award show when she got to know that one of her more famous contemporaries was being given some award even though there was not a single release to the latter’s credit in the year. The organisers tried their best to pacify the star, who had also had a fairly successful year. They even went to the extent of saying that next year, they could do something similar for her but nothing seemed to work. Finally, legend has it that a 'special' award was hastily constituted and that is how the show went on. These were not the Filmfare Awards but most film awards, unfortunately, have now come to a point where a tightrope walk to not leave anyone dissatisfied seems to be the most important function. Last year, Filmfare got a lot of flak for not even nominating Rajkummar Rao for his performances in Newton and Trapped. One of the most promising actors of his generation, Rao showed excellent craft in both Newton and Trapped, and the snub was far too conspicuous. Far from grieving, Rao seemed to have evoked his inner-Rumi. 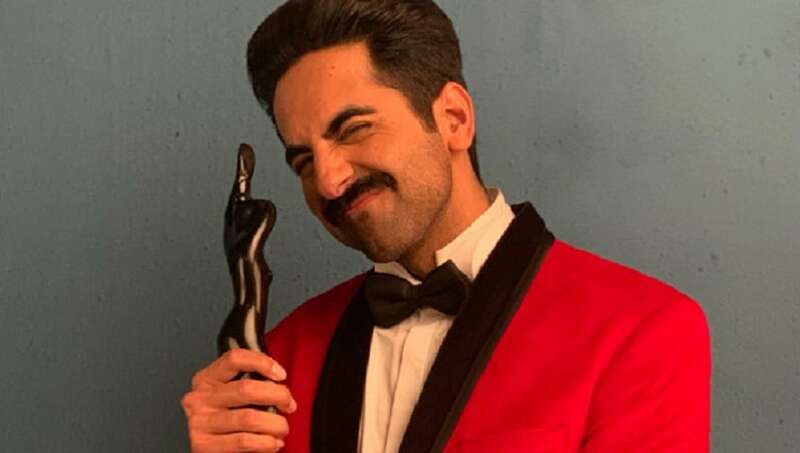 Much like how the poet-philosopher mused, anything you lose comes round in another form: Rao ended up ‘winning’ the Best Actor in the Critics' Choice category. The great balancing act at last year’s Filmfare continued where they gave Irrfan the Best Actor award for Hindi Medium, an action that surely would have left the actor both shocked and surprised. But this year, by giving the Best Actor award to Ranbir Kapoor (Sanju) and then ‘compensating’ Ranveer Singh and Ayushmann Khurrana with the Critics' Choice award for Padmaavat and Andhadhun respectively, Filmfare seems to have taken a giant step back. Amongst all the categories of the Filmfare Awards, the Critics’ Choice Award would by far be the most ‘insulting’, for the want of a more suitable word, category. It somewhere seems to suggest that any actor, who is not ‘mainstream’ enough would be acknowledged within this category. The origins of the category also insinuate the same. It was in 1991 when Anupam Kher’s performance in Mahesh Bhatt’s Daddy became the maiden recipient of the award. In its early years, the award was not specific to any gender and in 1992, when no one was given the award, it became clear that this was not intended to be a regular category. Intriguingly, 1992 was the year when this award could have saved a lot of embarrassment when Anil Kapoor ended up walking off with the Best Actor award for Beta when the general consensus was that Aamir Khan in Jo Jeeta Wohi Sikandar (1992) would get it. In 1993, Dimple Kapadia was given the Critics' Choice Award for Rudaali and in 1994, Shah Rukh Khan managed a double-whammy by winning both the Popular and the Critics' Choice award for Best Actor for Baazigar and Kabhi Haan Kabhi Naa respectively. The reason to differentiate between Khan’s performances is still unclear. The next three years saw Farida Jalal (Mammo) win it once and Manisha Koirala win twice (Bombay, Khamoshi: The Musical), after which the categories were separated for men and women. The Critics' Choice category is the one where Tabu has won four times and Manisha Koirala three times. Koirala is also the only one in Hindi films to win a Filmfare for a non-Hindi film as Bombay was dubbed in Hindi. This is also the category where Amitabh Bachchan and Manoj Bajpayee have won three times each, and there have been two instances of ties — Shahid Kapoor and Manoj Bajpai for Udta Punjab and Aligarh respectively (2017) and this year. In some ways, Irrfan’s win last year might not appear as radical considering the competition — Akshay Kumar (Toilet: A Love Story), Ayushmann Khurrana (Shubh Mangal Saavdhan), Hrithik Roshan (Kaabil), Shah Rukh Khan (Raees) and Varun Dhawan (Badrinath Ki Dulhania). More than anything else, the manner in which Irrfan pipped the seemingly more ‘popular’ stars was what made it interesting. Back in the early 1980s, when Amol Palekar, Naseeruddin Shah and Om Puri or Shabana Azmi and Smita Patil could beat the popular stars to walk away with the ‘main’ award then why this sub-category? Moreover, in the present times, when the content is the true king, it makes little sense for such demarcation.